Finally, in your religion no one would need to worry that their faith would ever be tried, or that they may have to defend their convictions or suffer for their beliefs. When the end-time tribulation comes, they will be miraculously whisked away to a heavenly sanctuary, while everyone else who is not of the faith — including perhaps family and close friends — will still be on earth suffering unspeakable horrors. Your faithful, however, will watch all the pain and death from a safe and glorious paradise in the sky, granted to them simply by divine caprice. Imagine how attractive your religion would be! Who in his or her right mind would not want to have the ultimate in blessings — all for doing nothing? And when testing comes, they will be immediately removed from the conflict without having to answer for or defend their faith. Is it any wonder that so many people choose to accept these same teachings? Neither is there even one sentence saying that because Yahshua the Messiah met the requirements of obedience, that we don’t need to. On the contrary. We are told that His perfect obedience was an example for us, and we are to follow in His footsteps,1Peter 2:21-22. And finally, we are never promised an oasis from the trials of life. Paul wrote to young Timothy: “Yea, and all that will live righteously in Messiah Yahshua shall suffer persecution,” 2Timothy 3:12. Overcoming trials is what being a True Worshiper is all about, and it leads to eternal reward, James 1:12. The rapture doctrine says that the Messiah will return and either secretly whisk away the saints or take them openly to heaven with Him. There they will spend either 3 ½ or 7 years in safekeeping while tribulation rocks this planet. Trying to make this passage refer to a pre-tribulation rapture of protection is incongruous, considering that the dead are said to go first. The dead don’t need to be raptured to safety because they are dead. Their souls, according to the rapture teaching, will already be up in heaven. In truth, this passage is speaking of the final day when Yahshua returns to earth to set up His Kingdom, and all the saints, living and dead, will be gathered to be with Him to rule in a thousand-year period on earth. The timing of the event is critical. Are the saints taken before or after the Great Tribulation? We will find out momentarily. Other questions that need answering: where is the support for a silent, secret rapture — which some believe will occur — amid “a shout,” “voice of an archangel,” and a trumpet blast? Is there perhaps a “silent” Second Coming and then a Third Coming? If so, where is the Scriptural evidence? Here we see that when Yahshua returns, the final trumpet will sound and He will gather His elect from one end of heaven to another (not huddled all together in one place, as some teach). Yahshua tells us that people everywhere will be carrying on their lives oblivious to what is about to happen, just as they were before the earth was inundated by water. Noah and his family were the bright lights amid all of the dark, earthly evil. 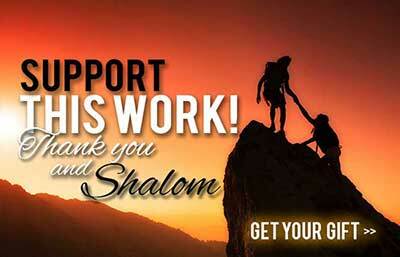 They are called righteous by Yahweh in Genesis 7:1. But notice. We read that the final events will be just like those in Noah’s day. And what happened with righteous Noah and his family? Were they raptured from the planet just before the devastating flood? No, on the contrary, they remained on earth. Yahweh had guided Noah to prepare a place of earthly safety and protection — a giant ark floating on the flood waters. Now note what happened to the wicked. We read that Yahweh “took them all away.” They were taken and destroyed in the waters and only Noah and his family remained. Yahshua said it will be the same way at the end of the age: “Then shall two be in the field; the one shall be taken, and the other left. Two women shall be grinding at the mill; the one shall be taken, and the other left.” In the same manner as in the days of the flood, at Yahshua’s coming the wicked will be removed first and the righteous will remain. What did He mean by “body” and “eagles”? This verse has a translation difficulty in the KJV which, once cleared up, makes understanding crystal clear. Let’s go back to Matthew 24. This passage about the coming of the Messiah is an improved rendering of the same account we just read in Luke 17:35-37. Here the translators used the more correct “carcase” in translating the word ptoma, which in Greek means “ruin, lifeless body, corpse.” The word for “eagles” refers more accurately to vultures. Eagles are not carrion eaters as are vultures. Vincent’s Word Studies in the New Testament says about the word eagles in this passage, “Eagles. Rev. puts vultures in margin. The griffon vulture is meant, which surpasses the eagle in size and power. Aristotle notes how this bird scents its prey from afar, and congregates in the wake of an army,” p. 75. There will be millions dying when the angel comes to separate and destroy the wicked first. Does this sound like a glorious place of safety where the saints will be taken up in a rapture? On the contrary, Yahshua told His disciples that those taken, meaning the wicked, will be destroyed, not whisked off to safety in heaven! In His parable of the wheat and tares in Matthew 13, Yahshua corroborates what we have confirmed in Matthew 24, that the rapture is the exact opposite of what most people think. “Another parable put he forth unto them, saying, The kingdom of heaven is likened unto a man which sowed good seed in his field: But while men slept, his enemy came and sowed tares among the wheat, and went his way. But when the blade was sprung up, and brought forth fruit, then appeared the tares also. So the servants of the householder came and said unto him, Sir, did not you sow good seed in your field? from whence then has it tares? He said unto them, An enemy has done this. The servants said unto him, Will you then that we go and gather them up? But he said, Nay; lest while you gather up the tares, you root up also the wheat with them. Let both grow together until the harvest: and in the time of harvest I will say to the reapers, Gather together first the tares, and bind them in bundles to burn them: but gather the wheat into my barn” (Matt. 13:24-30). “As therefore the tares are gathered and burned in the fire; so shall it be in the end of this world. The Son of man shall send forth his angels, and they shall gather out of his kingdom all things that offend, and them which do iniquity; And shall cast them into a furnace of fire: there shall be wailing and gnashing of teeth” (40-42). “So shall it be at the end of the world: the angels shall come forth, and sever the wicked from among the just, and shall cast them into the furnace of fire: there shall be wailing and gnashing of teeth” (49-50). But couldn’t Yahshua have already come and gathered His elect to safety by this time? some may be wondering. Obviously, if the righteous were already raptured, they would not still be on earth among the wicked when the wicked are removed. The rapture doctrine says that Yahshua will come in two stages: “for” His saints, represented by the Greek word parousia, and the second stage being “with” His saints, revealed in the Greek word apokalupto. In fact, New Testament usage makes no distinction between these two Greek words. The doctrine says that the word parousia in 1Thessalonians 4:15-16 is an initial coming “for” His saints before the tribulation. However, parousia is also used in 2Thessalonians 2:1 and 8, where His coming clearly is at the end of the tribulation. Similarly, parousia and apokalupto are found in Matthew 24:37 (coming) and Luke 17:30 (revealed), respectively. Both speak of this same coming of Yahshua using the context of the days of Noah where the wicked are removed first. In all three verses in John 6:40, 44, and 54 Yahshua tell us that the righteous will be raised up at the last day. 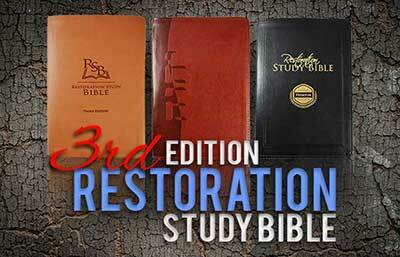 The “last day” occurs after the tribulation, not before. The last day refers to the final resurrection of all believers, John 11:24. That is the timing of1Thessalonians 4:15-17. “And to the woman were given two wings of a great eagle, that she might fly into the wilderness, into her place, where she is nourished for a time, and times, and half a time, from the face of the serpent. And the serpent cast out of his mouth water as a flood after the woman, that he might cause her to be carried away of the flood. And the earth helped the woman, and the earth opened her mouth, and swallowed up the flood which the dragon cast out of his mouth” (Rev. 12:-16). The terms “wilderness,” “flood,” and “earth” demonstrate unequivocally that the saints will find protection on earth, not in heaven. Satan certainly has no power to chase the saints around in heaven! Yahshua specifically prayed in John 17:15 that the righteous not be taken from the world, but that they be safeguarded. His prayer directly contradicts the notion of a coming rapture to heaven. In Matthew 24:22, the Messiah said that for the sake of the elect, the last-day tribulation will be shortened, otherwise no flesh would be saved. This tells us that the elect will still be on earth and it is because of them that Yahweh will make an end to destructive events. It is impossible to reconcile with the Scriptures the idea that the saints will be protected in heaven from end-time tribulation. Bible prophecy clearly maintains that there will be many who will be martyred for the Truth in the last days (see Dan. 8:24; Matt. 24:9;Rev. 13:7 and 20:4). In Revelation 12:17 Yahshua revealed, “And the dragon was wroth with the woman, and went to make war with the remnant of her seed, which keep the commandments of Yahweh, and have the testimony of Yahshua the Messiah.” Obviously there are saints obedient to Yahweh yet on earth — not in heaven —and still subject to attack by Satan. Revelation 6:9-11 plainly shows that many True Worshipers will undergo end-time martyrdom. Revelation 7 reveals a similar destiny for the people of Yahweh in the last days. Before the angel releases divine plagues that will devastate the earth, the saints of Yahweh will be sealed in their foreheads for protection, verse 3. That sealing is His Name, we read in Revelation 14:1 and 22:4. As with Israel in Goshen, however, there is nothing stating that the people of Yahweh will not have to endure the man-made tribulation that will come first. This is detailed in Revelation 6:1-8. Another passage that directly rebuts a rapture is Revelation 7:14, where one of the elders inquires of the identity of all those people dressed in white robes. “And I said unto him, Sir, you know. And he said to me, These are they which came out of great tribulation, and have washed their robes, and made them white in the blood of the Lamb.” These saints proved faithful and stood fast in the coming tribulation and they are now granted a position in the Kingdom of the Messiah. Rewards are not given to those who escape, but to those who endure and overcome (Rev. 2:26). Revelation 20:4 says there will be martyrs who refuse to worship the beast who will be beheaded for the witness of Yahshua. Are we to assume that these martyrs are the evil people left behind on earth during the Tribulation? Obviously not. They are the saints, whose preaching, teaching, righteous example, and martyrdom will convert many to the truth during the reign of the Antimessiah. The next verse presents a real problem for the doctrine of the rapture. 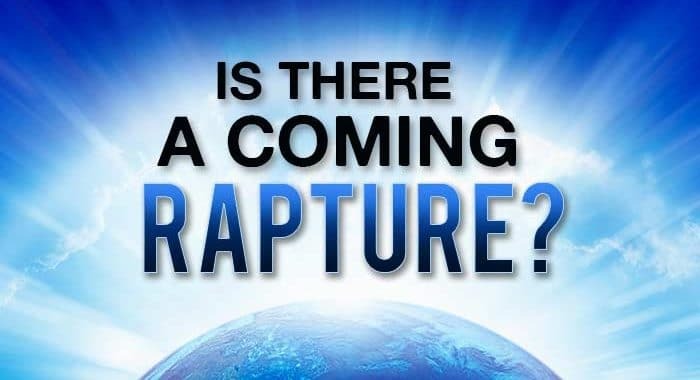 Most rapturists maintain that the righteous living and righteous dead will be raptured off to heaven before the tribulation (a teaching known as the pretribulation rapture). But notice: “But the rest of the dead lived not again until the thousand years were finished. This is the first resurrection,” Revelation 20:5. Had there already been a rapture, this would be the second resurrection, not the first. Yahweh promises protection for the righteous, although some will be called on to give up their lives as a witness of faith to others. Resurrecting them to life again is no problem with Yahweh, and they will be the first to rise at the last trumpet blast when Yahshua returns. A key question that needs to be answered is, where will Yahshua the Messiah go when He comes in the clouds and raises His saints? Will He return to heaven? That is what the rapture teaching says. We read in 1Thessalonians 4:17 that the righteous will “meet the Savior in the air: and so shall we ever be with the Savior.” Does He take the saints and return to heaven for as much as seven years for the duration of the Tribulation? The word “meet” is the Greek apantesis and is used in only two other places in the New Testament. One such place is Matthew 25:6, where the virgins meet the Bridegroom (meet here is apantesis) and they continue on to the wedding feast. He does not reverse direction and take the virgins back to heaven where He came from. Verse 13 tells us that this meeting is “the day and hour when the son of man comes” at the Second Coming. Yahshua’s destination is the Mount of Olives, not a return to heaven, Zechariah 14:4. His intent is to set up his throne at Jerusalem “in that day.” He does not reverse direction and head back to heaven with the newly gathered saints. The rapture doctrine is just another aspect of the modern, false idea of gain without pain. Something for nothing. No effort or overcoming is necessary. Such an idea is completely foreign to Scripture. In the Book of Acts we read, “Confirming the souls of the disciples, and exhorting them to continue in the faith, and that we must through much tribulation enter into the kingdom of Elohim, ”Acts 14:22. The rapture doctrine is not only unscriptural, but it will also prove to be sinister. Instead of spiritually preparing people for what is coming, which is the whole reason we are given Bible prophecy in the first place, people are being led to believe the lie that they will be delivered out of it all. How will millions react when they find themselves facing the biggest challenge of their lives and they are completely unprepared? Yahshua tells us how: He says that at that time men’s hearts will be “failing them for fear”! (Luke 21:26). Posted in Resurrection and the Afterlife, Booklets.